Although Webhostface is relatively new compared to other web hosting giants, I’ve been really impress with them. I could even rate them as one of the best web hosting providers but that’s getting ahead of myself since I’ve only been with them for less than a month, as of posting time. I just can’t believe I wasn’t able to find them sooner. So if you are uncomfortable with your current hosting or if you are planning to launch your own site for personal or business needs, I urge you to try Webhostface for yourself. Just a few posts before I talked about my previous web hosting provider iFastnet, and how I stayed with them for a LONG time back when I was just starting on my blog. From their free package, I upgraded to their shared hosting, and ultimately to their VPS plan. It was a great experience although there were a lot of downtimes especially if the site got too busy. Because of that, I decided it was time to move on and look for a new provider. That’s when I discovered Webhostface and just fell in love with it. Webhostface is not a common household name of web hosting providers from where I live. Heck, it was only last week that I stumbled onto them by chance while reading some reviews. They had so many positive feedback from other customers even though they only started in 2013. So I checked out their site and what they offered blew me away! Webhostface has one of the cheapest shared hosting plans I have ever seen. For their popular Face Extra plan, they only offered it for $1.09/month, which is really cheap. Although that price is only available for first-time orders, it’s a really good deal especially if you pay annually, biennially, or triennially. So their Face Extra plan includes 20 GB of disk space, unlimited bandwidth, unlimited databases, unlimited email accounts, and best of all, unlimited hosted domains, which means you can host as many sites as you want given that you don’t exceed your maximum allotted disk space. 20 GB is also a lot and unless you’re uploading a lot of high-definition photos and videos, it’s more than enough. Webhostface also offers Let’s Encypt SSL certificates, which means that you can have your site run in HTTPS for free. 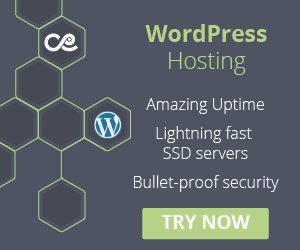 A Softaculous installer so that you can install any CMS, like WordPress, by just a few clicks. You can change the PHP version from 5 to 7 from your cPanel. That’s another good feature btw – having cPanel. I don’t go for a web hosting provider that doesn’t have it. Why? Because it makes life more easier by having every setting in one place. You don’t need to know how to use the terminal or type commands to make something work. Also, I grew up using cPanel so it’s been a part of me ever since. Another winner for me. I live in the Philippines so salaries here aren’t that big compared to other more developed countries. That’s why I’m constantly on the hunt for a cheap hosting provider that isn’t only affordable but should be well worth the price too. Webhostface’s Face Extra starting rate of $1.09 or ₱60/month plan is a huge discount. However, if you renew, the price goes back to its normal rate of $10.99 a month. Somewhat of a downer but if you look at all the features and services they offer, I can tell you that it’s worth it especially if your site earns an income which you can use to break even. My suggestion would be to purchase the plan and choose either Annually, Biennially, or Triennially as your billing period so that you can save A LOT of money. I bought the two-year plan which costs a total of around $26 or ₱1440 only. If the features didn’t win you over, let’s talk about speed then. What really got my attention was Webhostface’s data centers. As of posting, they have 4 data centers and one of them is located in Asia. Which is great because if you’re targeting users within the continent, it will load quickly for them. After I purchased the plan, I immediately saw the speed difference when logging into FTP. Compared to my previous hosting, Webhostface is much more faster. To compare the speed differences, here are the ping results of my current and past hosting. A ping test to my new shared hosting’s IP showed an average round trip time of 45ms, which is really fast, while pinging to my old shared hosting’s IP showed an appalling 299ms. This is the reason why my site before would take a longer time to load. However, with respect, iFastnet’s data center is located in the UK, about half the world away from the Philippines! That’s why choosing the right data center is VERY VERY important. I’ve only recently used Webhostface so I can’t say much for now. They claim to have 99.9% uptime so I have to verify that. For the traffic limit, I talked with their support team and they told me their Face Extra plan can handle around 15,000-25,000 sessions a month. Sounds good but since my account is still new, I will provide an update next month so that I could really see how it handles my monthly traffic. Okay enough with the technical stuff, let’s talk about the other thing that drives people to Webhostface – their Support team. If you into the reviews of other customers, you would see that a lot would comment and give positive feedback of how great their Support is. And since I decided to host my site with them, I can truly vouch for this. Before I even purchased the plan, they were there providing me with helpful answers whenever I had questions. Did I forget to mention that they also offer live chat support? Not a lot of companies have that and would rather use the ticket system, which can be a piece of sh*t sometimes because you have to wait for someone to come by and send a reply. With Live Chat, however, you don’t have to go through that. After filling in your details, you will be connected to their agents who I might say are quite knowledgeable about their services. It shouldn’t come as a surprise though because in their company logo it already states “Service always comes with a smiling face”. And it’s true! Webhostface cares for their users and will make sure that they are contented. If ever they couldn’t give you the answer you’re looking for, they will escalate it to a ticket so that someone who has more experience can talk to you instead. Although Webhostface is relatively new compared to other web hosting giants, like Siteground or Bluehost, I’ve been really impress with them. I could even rate them as one of the best web hosting providers but that’s getting ahead of myself since I’ve only been with them for less than a month, as of posting time. I just can’t believe I wasn’t able to find them sooner. So if you are uncomfortable with your current hosting or if you are planning to launch your own site for personal or business needs, I urge you to try Webhostface for yourself. If you are looking for the best web hosting providers for Filipinos, check out TacklePH’s post.